It’s rare for me to go on a paddling trip without Jeff. I hate going away without him :(. 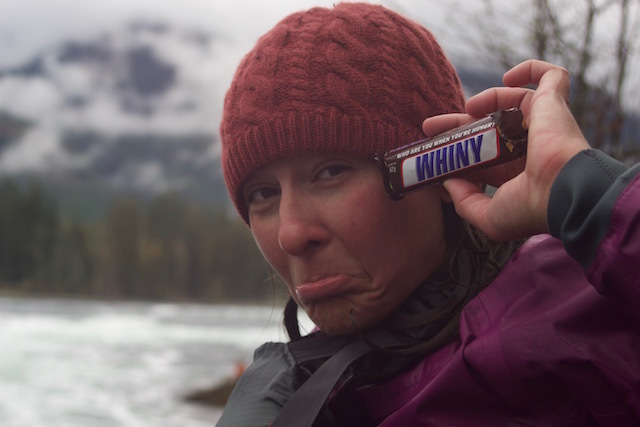 I had enough frequent flier miles to make it to Vancouver so off I went to Skookumchuck without him. If you don’t know what Skook is I’ll tell you real quick. 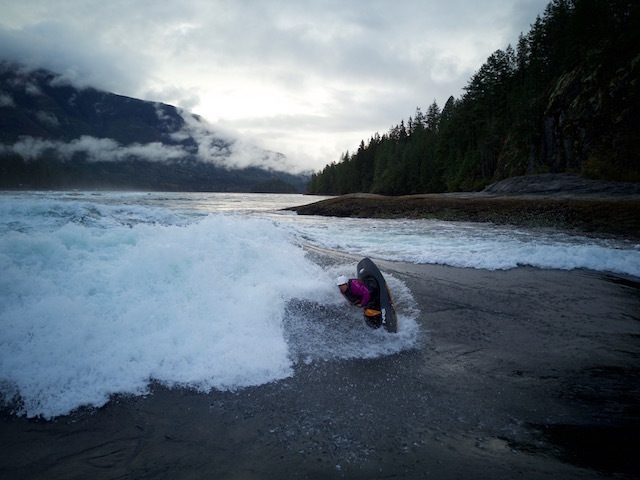 It’s a tidal rip in Egmont, BC in the Sechelt Inlet on the Pacific Ocean that at certain high tides like over 12 knots is epic for freestyle kayaking. It’s a big wave that is amazing! 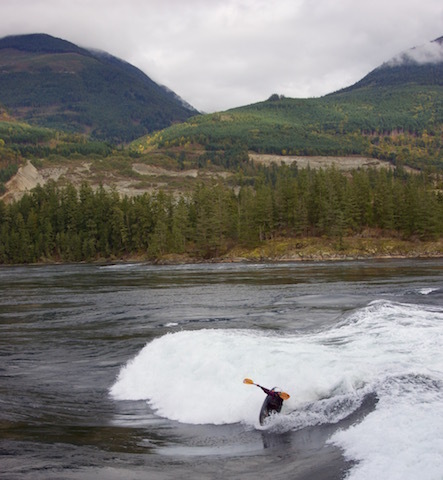 The whitewater behind it can be pretty tricky especially if you miss the eddy. There’s big boils, waves and unpredictable wave holes that come and go. I spent the night at my mother-in-laws house. I woke up at 3:30 in the morning to start my trip. It’s always a bit stressful when you are flying with a boat especially a carbon boat! I arrived at Logan Express in Framingham hoping for the best. My boat and bags made it on the bus! The first victory of the day. My goal with flying with a boat is to keep the weight down. I don’t know how true this is but I feel if you can keep the weight down on the boat they will treat it better and you. Always use a break down paddle! In the past I have been dinged for the boat at $150 and the paddle for $150, not cool! Another benefit is you don’t have to worry about your precious paddle breaking during transit. Once I’m at my destination I put my paddle together and add a piece of gorilla tape tightly around the point were the two pieces meet. Making it an even more secure watertight fit. I put a two piece Werner Paddles Player (197/zero degree/straight carbon shaft/fiberglass blades) in my boat. It fit great. I also had in my boat normal outfitting, a NRS cable lock, NRS Ninja PFD, and WRSI Trident helmet. I put my boat in my Salamander boat bag that I custom outfitted when I first got it 2 years ago. I’ll tell you what I did to it. I sewed the back of the back over so it would be a better fit for my carbon boat. I didn’t want any excess bag. 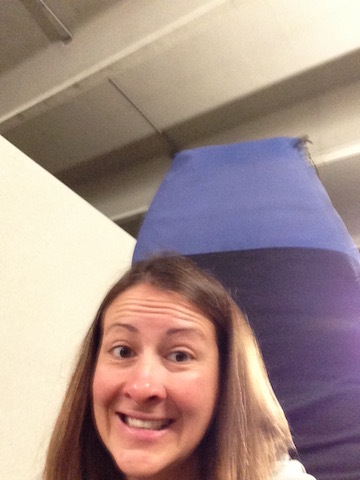 I then glued a thick yoga mat on the inside top of the bag. For the bottom of the bag I have rubber tile flooring that is not glued in. For this particular trip I removed the bottom flooring and put in a thermarest. I was going to be sleeping on the floor of the cabin we rented so it worked out perfectly as boat protection and space saving. Jeff turned the boat bag into a back pack! He sewed on pieces of NRS webbing for the loops and we removed the back pack straps from my NRS Bills Bag to use for the boat bag. It worked out great because the Bills Bag straps are made to be removed so we didn’t have to ruin the Bills Bag. Now that my boat was in the bag I placed my Seals Rand Sprayskirt on the inside of the bag to add more padding to the side of my boat. I did the same on the opposite side of the bag using my NRS Flux Drytop and NRS Endurance Splash Pants. I had a large suitcase filled with kayaking gear, a sleeping bag, a camera and other travel essentials like a few pairs of Maui Jim sunglasses :). My carry on back pack had my clothes and computer. I attached my carry on to my large suitcase to make it easier to get around. It worked out pretty well rolling it. I was slow getting around Logan but it was fine. Here I am wearing my boat pack! At the check-in for Alaska Airlines. Boat weighing in at 43.5lbs and they only charged me $25. No questions asked! 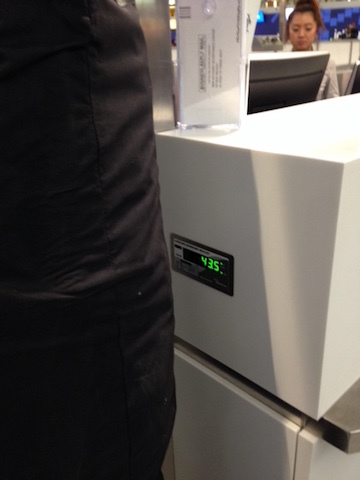 My suitcase weighed more than my boat at 49lbs. I wasn’t so lucky on the way back as I was charged the oversized baggage fee of $150 for the boat. Still no questions asked. That’s always a relief because you never know if they are going to reject it. 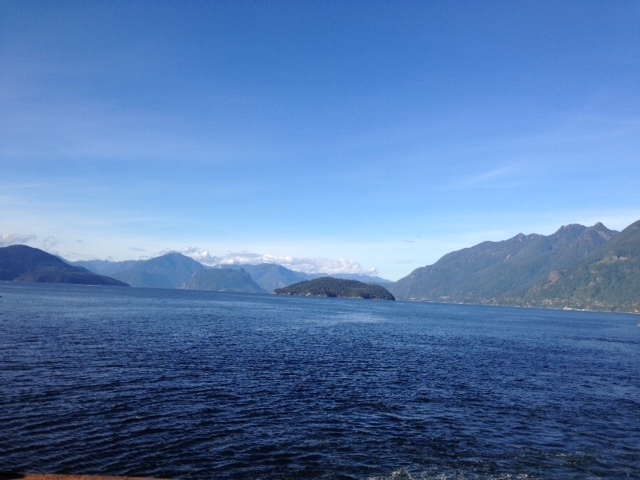 I flew from Boston to Seattle to Vancouver. 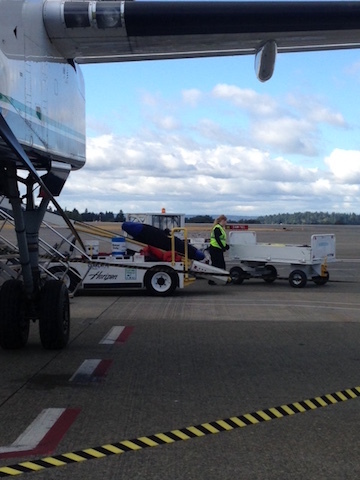 This was an awesome sight to see my boat getting on the plane in Seattle! I met up with Leif’s mom Ann at the Vancouver airport she flew in from CO. We went through customs, got in our rental car and met up with Leif, Natalie and Davis on the Ferry to head from Horseshoe BayTerminal to Langdale Terminal to the Sunshine Coast. I’m skeptical of that name! The 2 years I’ve been there hasn’t been much sun! It is a beautiful place though! 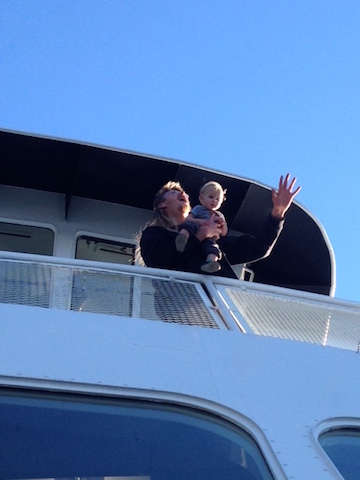 Leif and Davis enjoying the ferry ride! 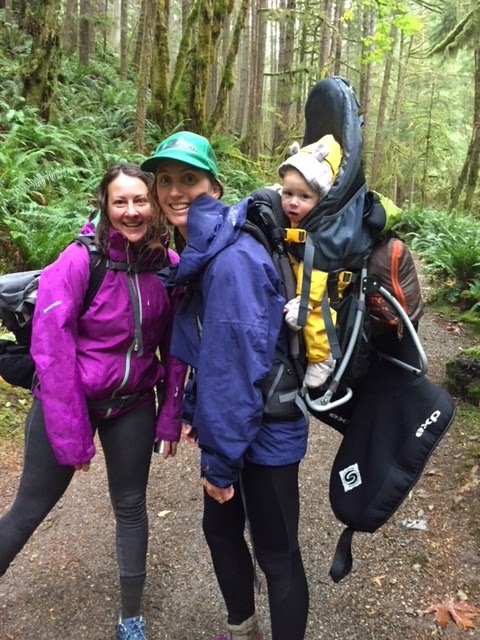 Davis was great on his first trip to Skook! He loved going for boat rides with his dad, hanging out with his grandma, getting hiked in and out to the wave to be with mom, and he thought I was the funniest person in the world! I knew I’d like that kid! Look at that view! It’s such an incredible place. We rented a cabin at the Back Eddy Resort and Marina. It was a cute cabin with all the amenities you need for a 10 day trip or longer. The staff is extremely nice and the pub has good burgers and fish and chips. 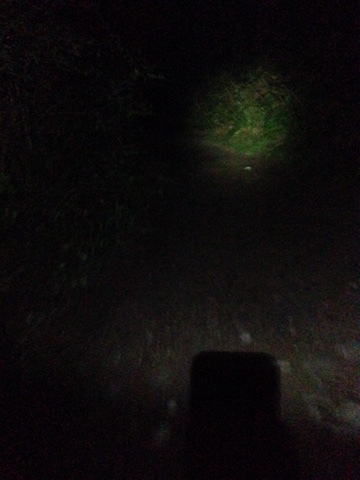 It was an early tide so the first day I paddled in the dark with Leif. (Natalie missed the first day because she had to work.) We had lights on so we didn’t get run over by any boats. It’s around a two mile paddle. 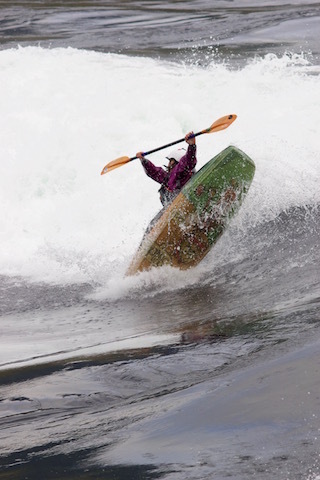 Some people choose to paddle in and out. You can tow a playboat with a longboat and leave the playboat there or you can paddle in your first day and leave your boat and do the hike in and out until your last day then you paddle out. It’s about a two and a half mile hike. There’s a place that you can lock up your boat at the wave so it’s perfect. Here I am walking in on day two alone in the dark! Spooky! Every day the tide is later about 45 minutes. By day 3 it was light when we started heading to the wave. 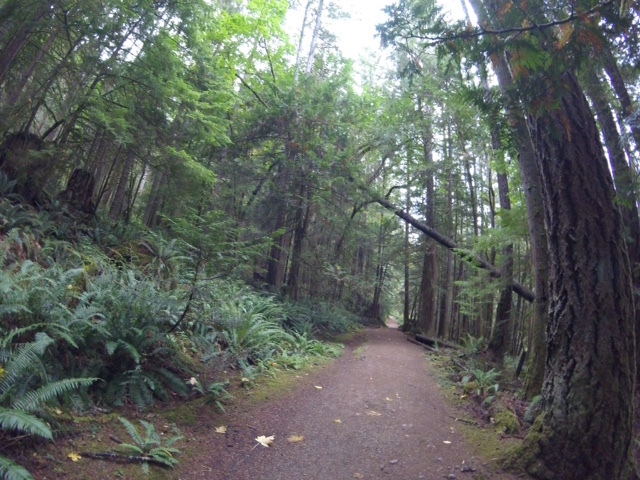 It’s a beautiful trail so much green and such big trees. It’s such an incredible place. Look at that wave! It’s pure magic. So many great tricks were had as well as crashes and tours! 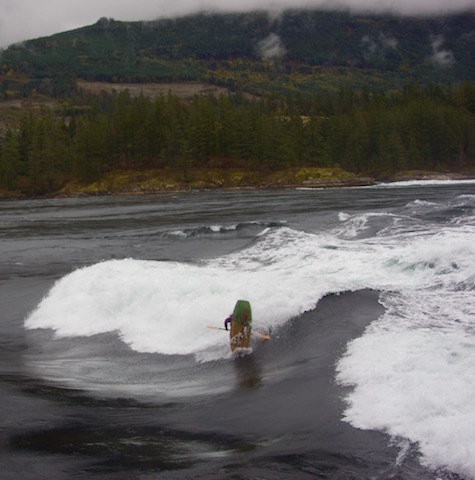 The tour is when you miss the eddy and have to paddle through the chaos behind the wave and the threat of sea lions! The sea lions are fine but they are big and intimidating. They are not afraid to show you that they are there and how big they are. Make sure to watch the video below to see the awesome footage of the seals and sea lions. Me, Natalie, and Davis on the hike. Yay to back pan ams! Leif in his surf ski tearing it up. 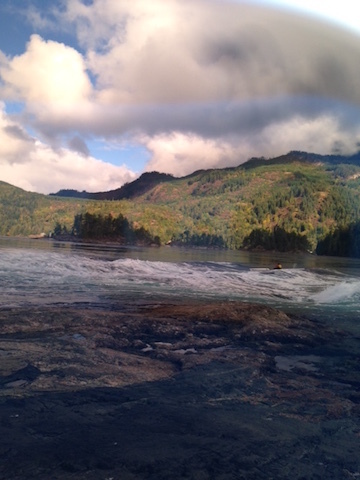 So much beauty at Skookumchuck! Photo taken through the lens of my Maui Jim sunglasses. Skook needed to be cleaned up some more! You get about 4 hours to paddle on the wave a day so you have to fill your time up with other things. 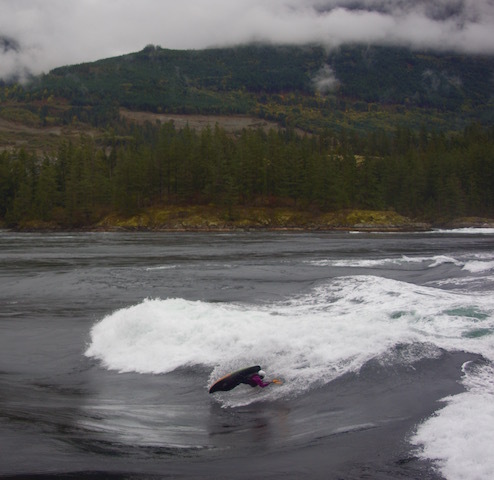 When I wasn’t returning emails or calls for Pau Hana Surf Supply I paddled around outside the cabin chasing seals and being chased by sea lions! Sad to have to leave but always excited to get home to my family. I am a home body you know! Another epic trip to Skook! Got to catch up with old friends and meet some new ones. At one point there was 5 woman shredding up Skook! I will make this a yearly trip for sure. It’s an easy flight and drive to get there even though it’s a long day of travel. 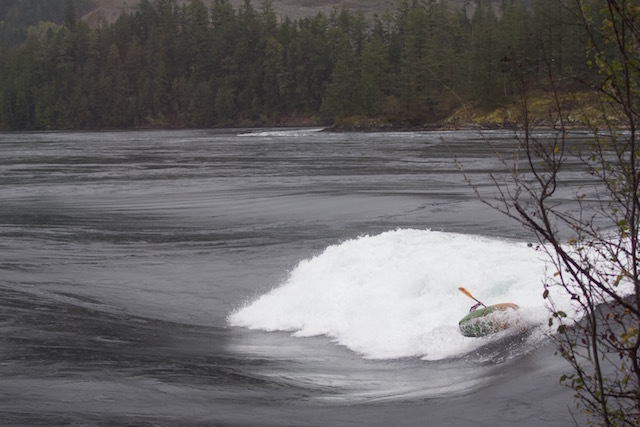 This destination should be on every serious wave boaters list to go to. There’s no excuse! Check out the video it’s not just kayaking! Previous Post Time flies when you are having fun!